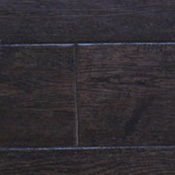 Oak Hardwood Flooring is available in Red and White variaties. Red Oak is the softer, with a Janka hardness score of 1260, and more porous of the two, but offers medium bending strength and stiffness. White Oak is harder than Red with a Janka hardness score of 1360, but the bending strength is the same and it offers lower stiffness. 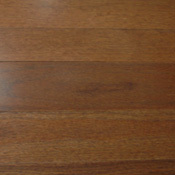 Oak colors can vary from plank to plank, so don't be suprised if two planks look do not look exactly the same. 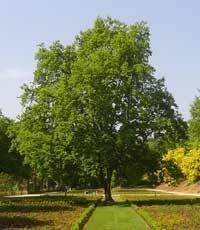 Red Oak is usually a reddish brown color, but can be more red or brown. 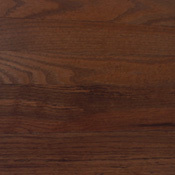 White Oak tends to be a creamy white, but can end up in the medium brown range. 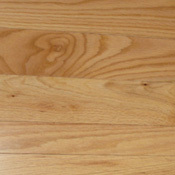 White Oak is great flooring because it is a strong hardwood with only a few drawbacks. 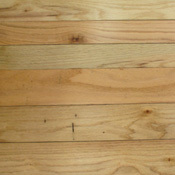 White Oak is a wood that resists splitting, and is easily nailed and stays nailed. 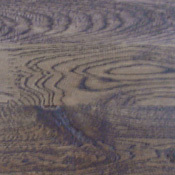 White Oak changes color, like most other woods, when exposed to sunlight, however the coloration is not severe and it provides the flooring with a light brown hue. Do not let White Oak be exposed to bleach or other water based finishes because it may cause the wood to discolor green or brown. 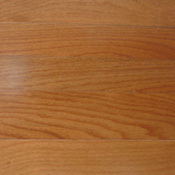 Red Oak, even though is it weaker than White Oak, is still a flooring option you should consider. 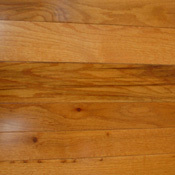 Red Oak is used in boat construction, so you can be sure it will last in homes or businesses. 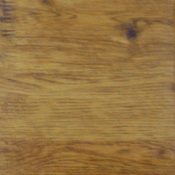 Unlike White Oak, Red Oak can be sanded easily for refinishings, but is difficult to machine. Even though Red Oak is very porous, it almost always finishes well. 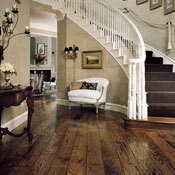 As You can see Oak is a great flooring option to consider. 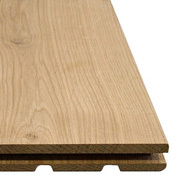 You must remember the diferences between White and Red Oak in order to choose the right type of Oak for your need. These are some Oak Products we offer.